General Motors finally unveil the Chevrolet Bolt, an electric car that is predicted will dominate the market in the future. The electric car was previously widely discussed because "only" costs $ 30 thousandor approximately Rp 377.8 million. General Motors unveiled the Chevrolet Bolt in the event North American International Auto Show (NAIAS) 2015, Monday, January 12, 2015, local time. Through a written statement, Chief Executive of General Motors Chevrolet Marry Barra said Bolt could be a game changer in the world market electric cars. "Because emphasizes affordability, not exclusivity," he said. Chevrolet Bolt claimed to be a distance of 200 miles or about 400 kilometers on a single charge. This car is a type of city car or mini-hatchback, is somewhat similar to the Chevrolet Spark is marketed in Indonesia. The cabin can carry 4-5 passengers plus the driver. When compared with other electric cars, the Chevrolet Bolt much cheaper. For example, the most affordable electric car Tesla Motors priced at US $ 70 thousandor approximately Rp 800 million. 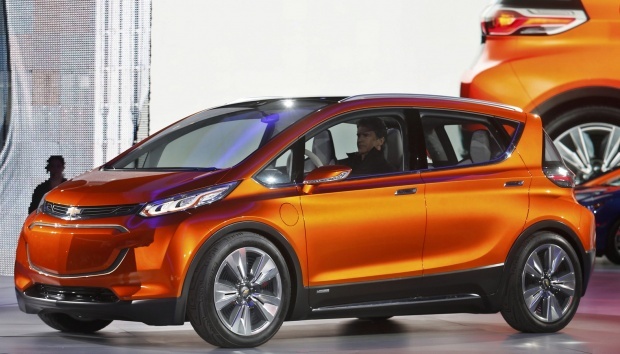 Rumor says Chevrolet Bolt will slide in the global market in 2017.